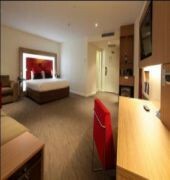 The Novotel Sydney Rooty Hill is located in the rapidly growing region of Western Sydney. Whether you want to relax and take in the local attractions, or are looking for a high octane adventure to get your heart pumping, Novotel Sydney Rooty Hill is the place for you to stay. 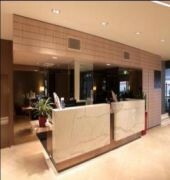 The hotel has just completed its multi-million dollar refurbishment of accommodation rooms and public areas.The Novotel Rooty Hill has air-conditioned accommodations in the heart of Western Sydney, a 15-minute drive from Wet'n'Wild Sydney. 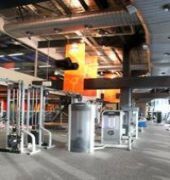 It features one of the largest gyms in the area, a spa and fine dining in its restaurant.Novotel has air-conditioned rooms equipped with a minibar and work desk. Each room has ironing facilities. 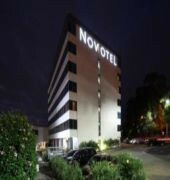 The NOVOTEL SYDNEY ROOTY HILL is a Tourist hotel. Located in SYDNEY area. Shopping is accessible by bus/taxi and the nightlife/restaurants are located in the hotel. Descriptionclass="small" style="text-align: justify; font-size:11px;">The Novotel Sydney Rooty Hill is located in the rapidly growing region of Western Sydney. Whether you want to relax and take in the local attractions, or are looking for a high octane adventure to get your heart pumping, Novotel Sydney Rooty Hill is the place for you to stay. The hotel has just completed its multi-million dollar refurbishment of accommodation rooms and public areas.The Novotel Rooty Hill has air-conditioned accommodations in the heart of Western Sydney, a 15-minute drive from Wet'n'Wild Sydney. 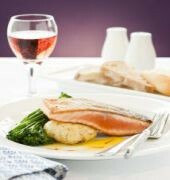 It features one of the largest gyms in the area, a spa and fine dining in its restaurant.Novotel has air-conditioned rooms equipped with a minibar and work desk. Each room has ironing facilities. Always a pleasure to stay at this Hotel at Rooty Hill. Service is first class, hotel staff are efficient and courteous at all times. Restaurant staff are very professional at their duties and always willing to assist at all times. This is a very nice hotel. Situated adjacent to the Rooty Hill RSL. Big, comfortable rooms, nice restaurant and excellent friendly staff. We ate in the restaurant and I was surprised and pleased by the thoughtful, attentive staff. Check-out was quick and easy. There is currently construction work as a new car park is buikt, but once this is completed it will be fantastic. Pleasantly surprised at how nice this hotel is despite the renovations going on outside. The room was huge, beds comfy, restaurant and room service food very good and despite being fully booked for an event it was definitely not noisy. Best of all however were the staff - all polite and efficient and always trying to help. The wonderful Jo-Anne and her team found me some sandwiches AND got the cappuccino machine going when they found out I had driven two hours to get there and the restaurant was closed. Would definitely recommend if you need to be close to all the amenities and services at the outstanding West HQ complex. Always a great stay with terrific facilities and top staff, we stay often so its like a home away. The Staff are always welcoming and happy to help with any request. In my 15yo sons words "you have the best breakfast'!!!!!!!!! !